← Family Time – Remember when the capelin rolled in…..
Conche, Newfoundland & Labrador is a Town of the Great Northern Peninsula that is tagged as “The Beauty Spot of the North”. It like Fogo Island, should be one of the Top 10 Destinations to visit in the World – rich in culture, vernacular architecture, French history and overflowing with local knowledge. This place does exist, so add it to your vacation in 2013! 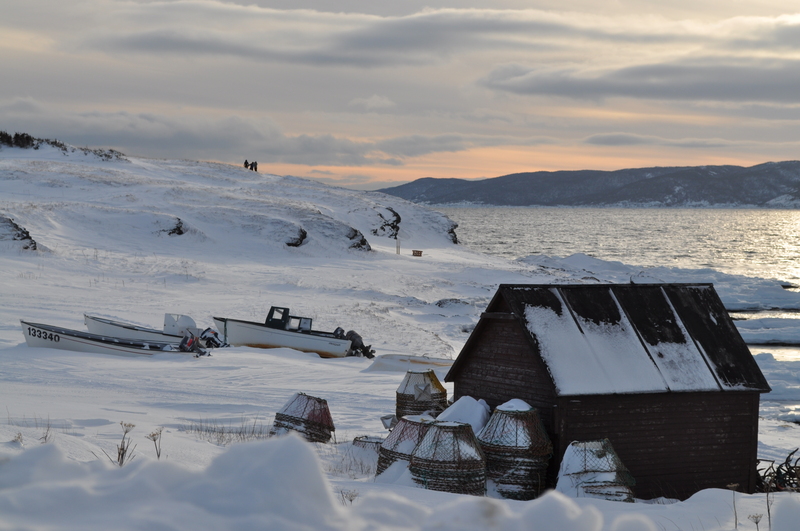 Conche is also a vibrant fishing community, with a number of small boat fishers and those harvesting shellfish. An active fish plant still is seeking employees based on advertisements in the local paper. What a wonderful community to be able to earn a living. Why not consider putting in an application at Conche Seafoods Ltd? This wharf depicted below is a pleasure to view. It has since been updated with new lines as it continued to survive elements. The Newfoundland Flag has nearly been weathered away. Don’t despair though, from walking trails, snowmobiling and interactions with local Conchers will make the visit in winter well-worth the trip. 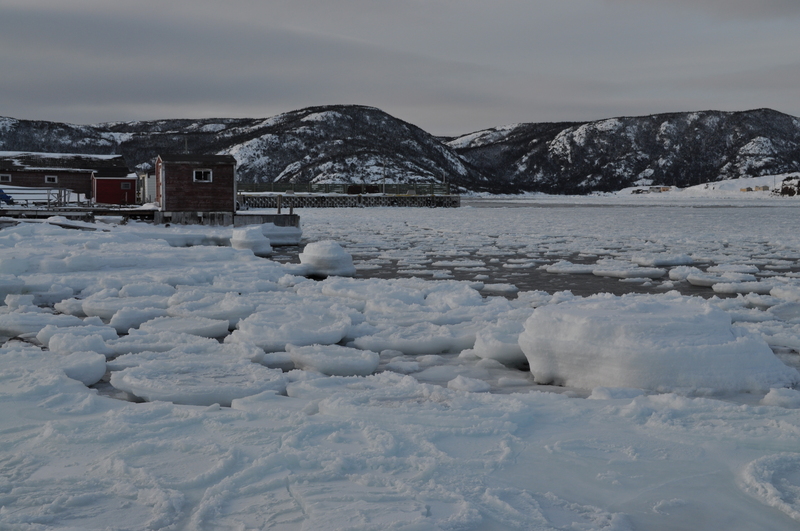 If you cannot make a winter’s visit to Conche, NL, then drop by in summer. This Town is at the Heart of the French Shore (www.frenchshore.com) and 2013 is 300 years after the signing of the Treaty of Utrecht. It has North America’s only 222 ft tapestry on Jacobian-linen, make by local women depicting the culture, heritage and history on the French Shore and was designed by artist J.C. Roy. As well, July 25 -August 1, 2013 is Conche Come Home Year Celebration. It is not to be missed! 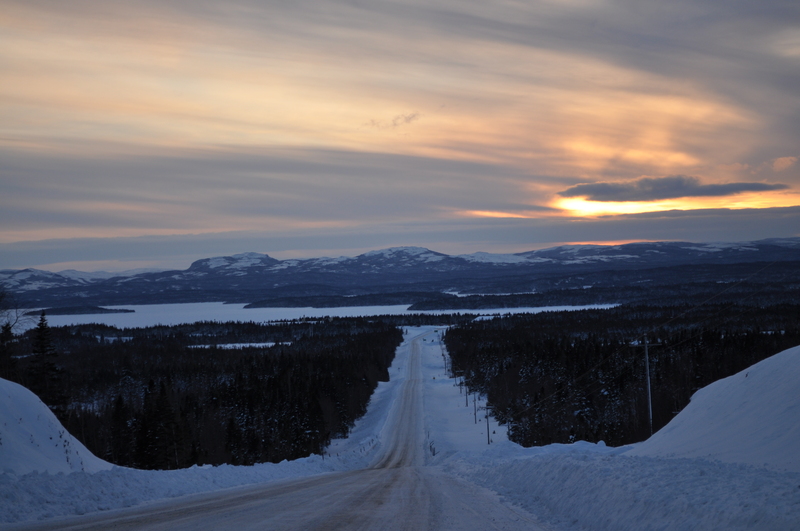 Newfoundland & Labrador Government must commit, develop a plan to pave Route 434 to Conche. It is a 17.6 KM gravel road that has received millions in realignment a few years ago. Without the hardtop, that invest is eroding down to the bedrock. Despite a gravel road, this Town is a destination – a must visit! While on the Great Northern Peninsula East, check out communities of Englee, Roddickton, Bide Arm, Main Brook, Croque & St. Julien’s-Grandois – you simply could not be disappointed. 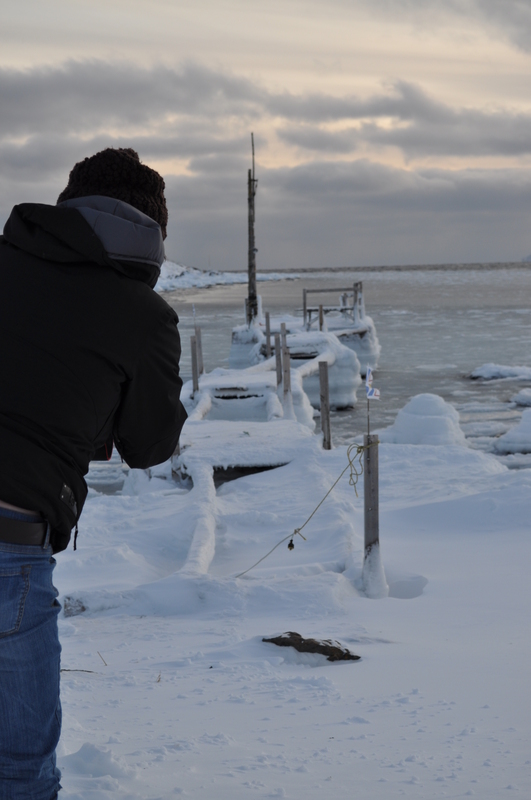 Experience the many wonders the Great Northern Peninsula has to offer. 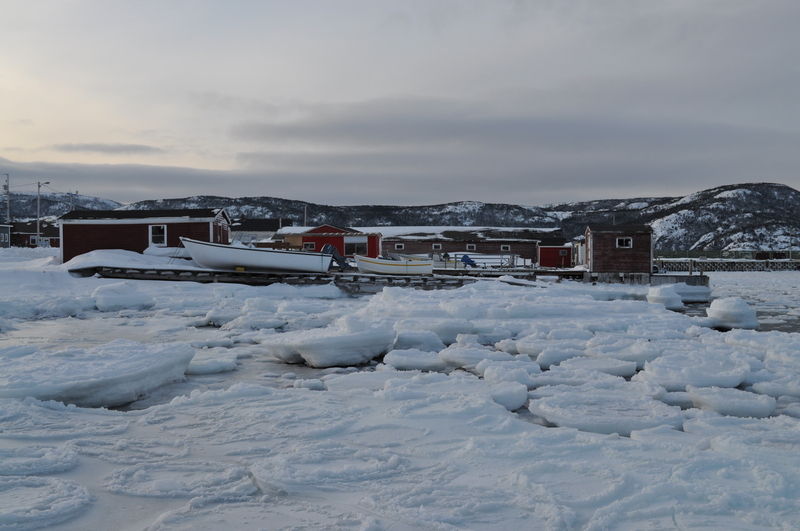 Posted on January 12, 2013, in French Shore, Heritage, Tradition and tagged Bide-Arm, Conche, englee, fishing, French Shore, Great Northern Peninsula, Main Brook, Newfoundland, Newfoundland & Labrador, Roddickton, The Straits White Bay North, tourism, winter. Bookmark the permalink. 8 Comments. I agree Conche is the prettiest place over on this side. It has everything. You certainly sounds like a ‘Die Hard Concher’. Conche is a beauty, along with so many other remarkable features of towns and communities on the Great Northern Peninsula. I’m always impressed when I visit and share new experiences. Beauty spot of the North says it all. Absolutely. It is a remarkable place to visit for sights, sounds and experiences. Conche will not disappoint. Conche has the right slogan for it’s Town “Beauty Spot of the North”. It is a magical place to visit and encourage those who have not been there to go and experience it for themselves.